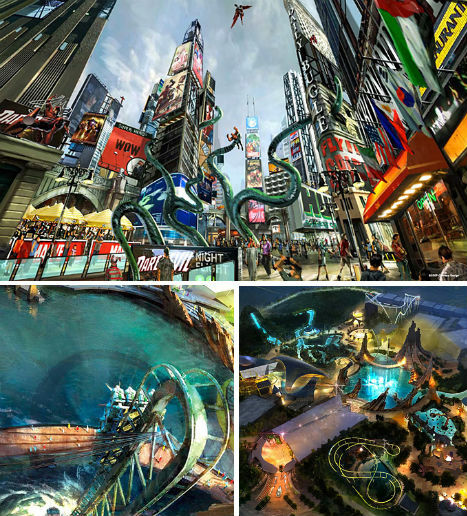 Amusement parks offer an adrenaline-soaked escape from reality, transporting us into fantasy worlds where pretty much anything is possible – and sometimes, the concept art for a proposed theme park can be nearly as exciting as the park itself. 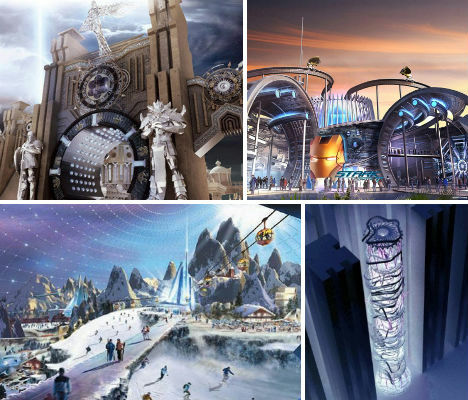 These 12 concepts include eagerly awaited new theme parks expected to open soon, projects that have been shelved and incredibly imaginative ideas that could never actually exist. 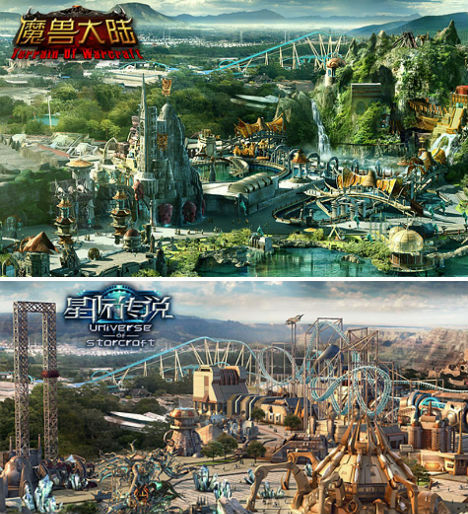 It’s not a joke: China really is building a World of Warcraft-themed amusement park (with a Starcraft section to boot). It’s called Joyland, and it’s under construction in the Wunjin district with an expected opening sometime this spring. For the time being, however, it’s still just a concept, with fantastical illustrations giving us an idea of what to expect. 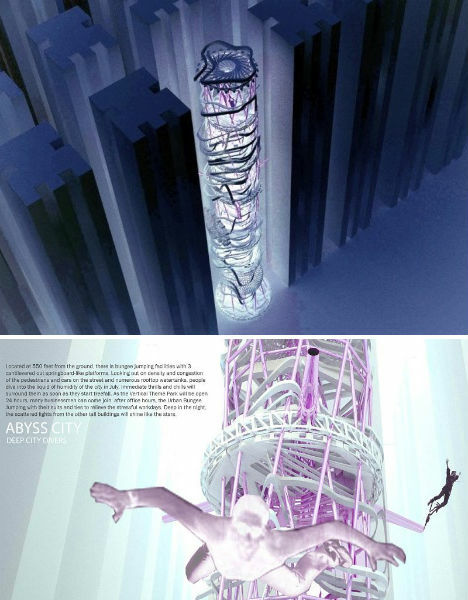 Imagine all of the rides in a typical theme park compacted into a single skyscraper – in the middle of Manhattan. 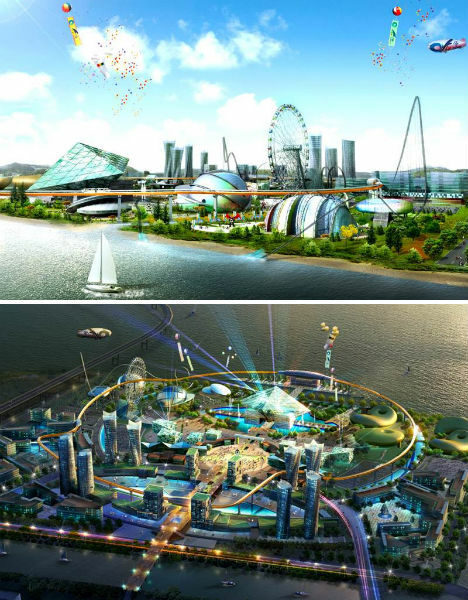 Architect Ju-Hyun Kim packs a flume ride, sky promenade, a roller coaster, a ferris wheel, restaurants, a vertical carousel and a space theater into a tower that fits right in with the surrounding architecture. This novel concept not only shrinks the often-sprawling footprint of an amusement park into a much smaller space, but also keeps the fun inside city limits, cutting back on the need for travel. Before Disney bought comic book empire Marvel, a deal was struck that allowed a massive Marvel theme park be to constructed as part of the multi-billion-dollar Dubailand, an amusement park complex rumored to be 20 times larger than Disney World. The Marvel section of the park will include 17 rides and attractions and occupy over four and a half million square feet. 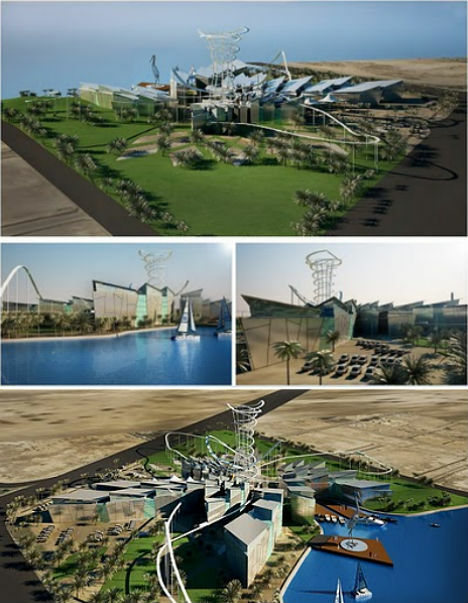 Said to be opening in late 2011, the actual status of the project is unclear due to Dubailand’s financial difficulties. The developers of Dubailand had hoped to attract 15 million tourists a year by 2015. 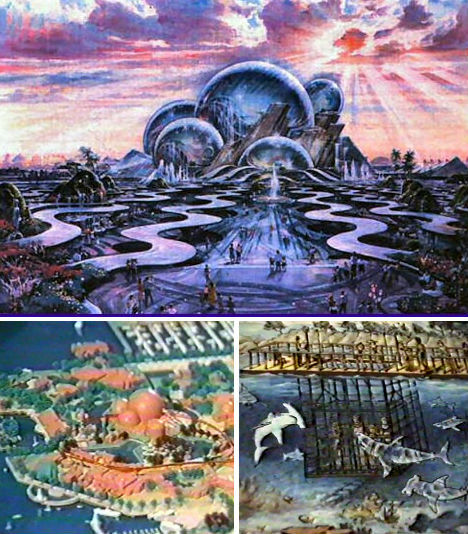 Once upon a time, Disney imagineers planned a $2 billion seaside park for Long Beach Harbor, California. Port Disney was to focus on the myths and mystery of the ocean, and the park’s crowning glory was Oceania, a massive interactive aquarium with a tidal exchange with the ocean to create real tidal pools in the outdoor exhibits. Guests would have snorkeled in five different reef environments or even enjoyed a few terrifying moments in a shark cage. Doomed due to concerns about the impact to the coastline, this project got new life when some aspects of it were used at Tokyo DisneySea. Theme Planet, a short film by 3D artist Michael Sormann, explores the concept of an entire planet being one big theme park. 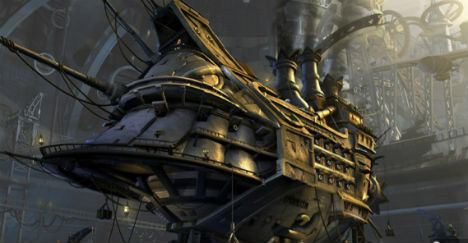 Aside from fantastic animation, the film includes glimpses of fun attractions and features like the ‘Barracuda’ steam-powered train. Before the economy crashed, Dubai development seemed like a freight train with busted brakes. Today, it’s unclear whether many of the spectacular concepts proposed for the city will ever actually be built, but what about those already under construction? 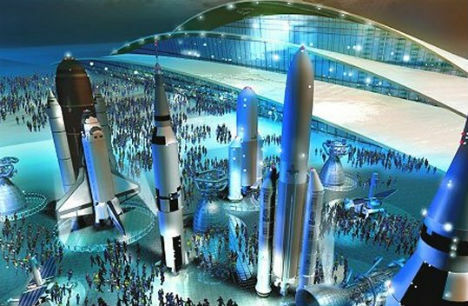 It’s hard to say whether we’ll ever actually see the ‘Space & Science World’ attraction in Dubailand ever come to life. 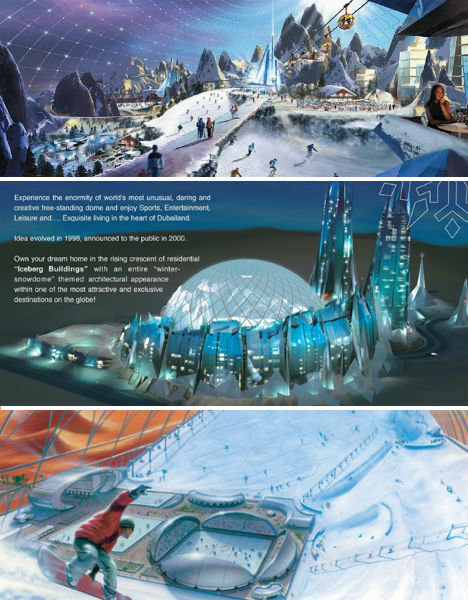 One of Dubailand’s biggest attractions, ‘Sunny Mountain Ski Dome’ or ‘Snowdome’, is already rumored to have been shelved altogether due to stratospheric costs. A massive steel dome would have enclosed an artificial mountain range covered in snow for a complete ski resort with winter activities and arctic animals like polar bears and penguins – all in the middle of the desert. It’s not finished yet, but in 2013, Robot Land will reportedly open its gates to visitors keen on experiencing every form of robot entertainment currently known to man. There will be robotic rides, robotic fish in aquariums for visitors to manipulate, robotic performers and even robotic cashiers. What’s to come in the distant future for the city of Copenhagen? 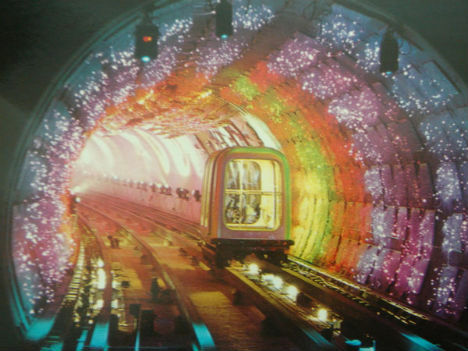 One of over a hundred ideas submitted to the Radiant Copenhagen project envisions a sparkling underground amusement park in place of the current Vanløse subway station, to be built after the imagined abolishment of public transport between 2060 and 2100. Perhaps, from the drawings, this roller coaster doesn’t strike you as all that impressive. It’s not flashy concept art; it’s really quite simple. But get on this roller coaster, and it’s the last thing you’ll ever do. 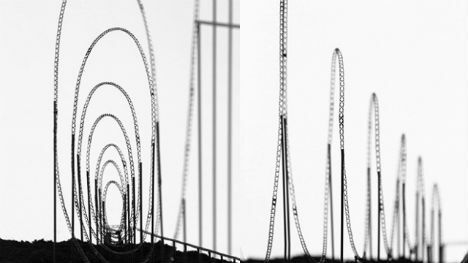 Royal College of Art PhD student Julijonas Urbonas created Euthanasia Coaster for the exact purpose that the name suggests; the coaster is designed to starve the rider’s brain of oxygen. The idea is that if you choose to go, you can go in a way that is thrillingly, amazingly, mind-numblingly fun. “Thanks to the marriage of the advanced cross-disciplinary research in space medicine, mechanical engineering, material technologies and, of course, gravity, the fatal journey is made pleasing, elegant and meaningful."